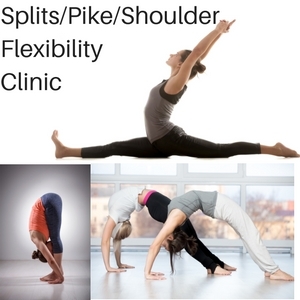 The purpose of the clinic is to provide you with new exercises that will improve your flexibility in each of the three areas. These are three key areas to help you improve your individual figure scores. Most of the exercises will be completely new to you unless you have attended training with me in the past. Pike position is so important in barracudas. Learn how to get closer to your legs while maintaining the upper body posture the judges require. Shoulder flexibility will help in all arch type movements. The flexibility will allow you to get more height in your figures. Register by emailing as I will cap the class at 30 synchro swimmers. Synchro swimmers aged 11& up are welcome. Coaches are welcome too with a paid registration. LIMITED SPOTS SO REGISTER EARLY. Payments can be made by e-transfer and Paypal. If those options do not work for you let me know. Subscribe to the newsletter and stay connected!